R 9 000 per person based on a minimum of 2 Clients. Over the years there have been many battles for control over land and people. These Wars in KwaZulu-Natal took place between the British, Boers and Zulus just a few hours outside of Durban. 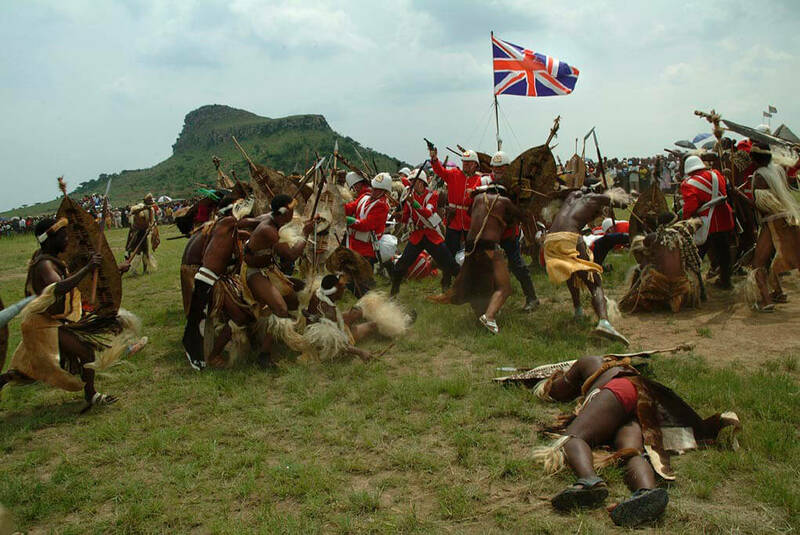 Two of the most famous battles being the Battle of Isandlwana (between the British and the Zulu’s) the Zulu’s annihilating the British and the battle at Rorkes Drift (between the British and the Zulu’s), the British annihilating the Zulu Warriors. Both these Battles took place on the same day the 22nd January 1879. 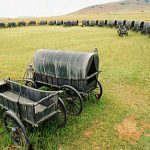 On this Battlefields tour you will be transported back in time to experience these great Battlefields of KwaZulu-Natal. You can feel the spirits on the Battlefields and you know that something major happened on the sacred ground you stand upon! 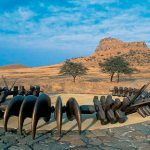 On a 3-day tour of the Battlefields of KwaZulu-Natal we visit three major battle sites which are of huge interest namely Isandlwana, Rorkes Drift and Blood River. We also visit the King Shaka memorial site, Fort Eshowe, Shakaland, Odini, Emakhosini, Piet Retief’s grave and Fugitives Drift. 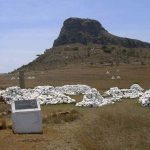 This makes the tour a comprehensive tour of the Anglo-Zulu battlefields as well as Blood River – an Anglo-Boer battle which wets the taste buds for your next trip to Zululand! 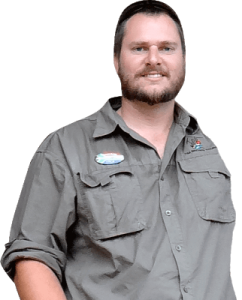 ✓ Learning from your Passionate guide who has in-depth knowledge of the Anglo-Zulu Battlefields. ✓ Experiencing the recreation of these battles for which so many men lost their lives. ✓ Enjoying the monuments and Museum set up to commemorate the Anglo-Zulu Battles fought in 1879. We collect our clients from their accommodation at 8:30am (this pickup time depends on where clients accommodation is and will be confirmed). We’ll travel directly to our first stop, the Shaka Memorial in KwaDukuza. This is a 45min drive during which your guide will go over the itinerary for the upcoming tour, and give some detail into the history of South Africa, the Zulu’s and English as well as the Boers. On arrival at the memorial we’ll enjoy a tour around the site with a local site guide. King Shaka’s story is a fascinating one and is relevant not only to the Anglo-Zulu war but also to South Africa today. After our tour we’ll depart for our next stop, Fort Eshowe in the the oldest European town in Zululand, Eshowe. 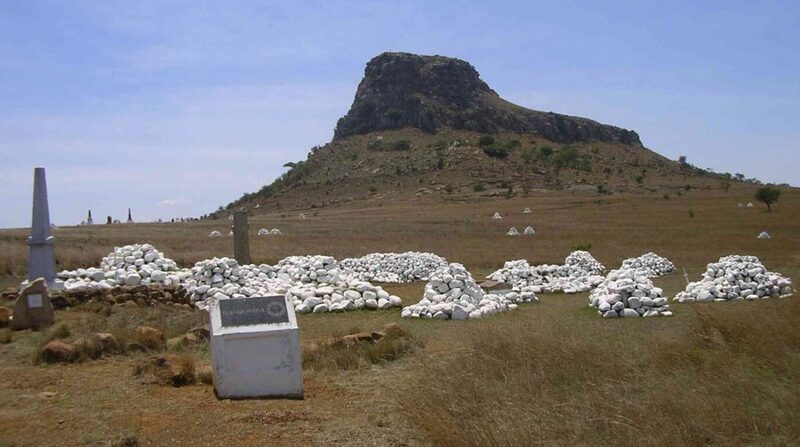 Here the British were besieged by the Zulu warriors for a period of 2 months. 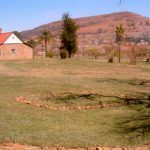 On route to this site we’ll also stop to explore a smaller but very important battle site at Gingindlovu. We’ll spend approximately 60min at Fort Eshowe and thereafter depart for Isandlwana where we will have lunch. Feel free to bring a sandwich with you as it is a long day. 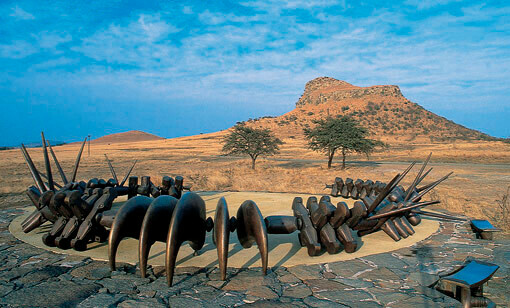 On route to Isandlwana you guide will point out Mtonjaneni and uMgungundlovu. 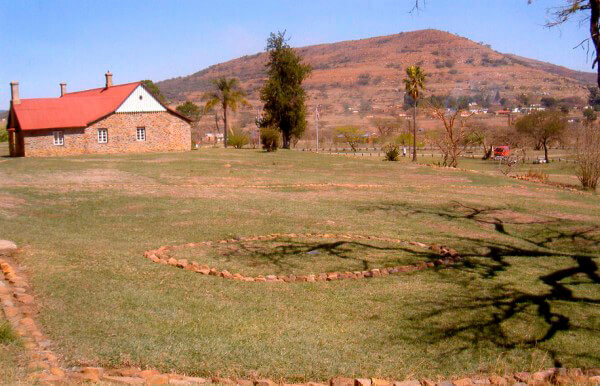 Once settled in at the Rorkes Drift hotel it will be time for dinner. 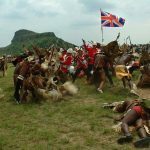 After breakfast (8am) we’ll depart for the first of today’s stop Isandlwana where this amazing Anglo-Zulu Battle will be explained to you in detail. 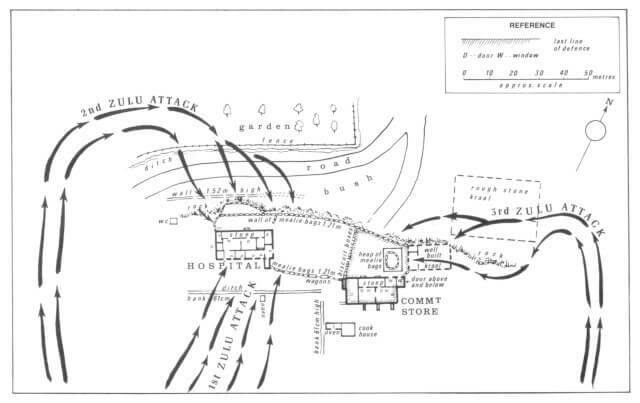 After lunch we will head to Rorke’s Drift to cover this great battle and this will cover our time for the day. After our visit to Isandlwana and Rorke’s Drift we’ll depart for our overnight accommodation at Rorkes Drift Hotel. After breakfast we’ll depart for Fugitive Drift. The story of Coghill and Melville’s dalant and ultimately futile dash to escape the battlefield of Isandlawana to safeguard the Queen’s Colours is a fascinating and tragic one. We’ll learn more about these men and their dash at the very spot they met their fates. 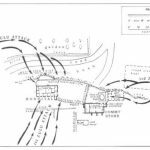 After the visit at Fugitives Drift we’ll travel to the Battle of Blood River and learn more about what happened here. After our tour, we’ll enjoy lunch at the site and then depart back for Durban. We should arrive by 5pm. The Battle of Blood River was fought between the Boers (Voortrekkers) who were led by Andries Pretorius against the Zulus on the bank of the Ncome River on the 16th December 1838. 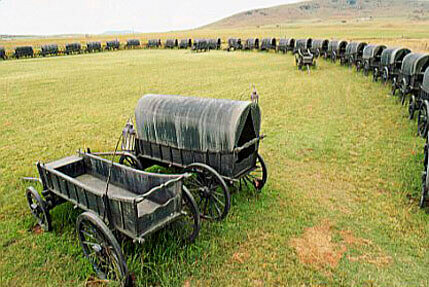 This battle was fought by approximately 470 Boers and 15 000 – 21 000 Zulus! Casualties were high as approximately 3 000 of King Dingane’s Zulus were killed including two Zulu Princes competing with Prince Mpande for the Zulu Throne. Only Three Boers were slightly injured including their leader Pretorius.